Family time is precious, we all lead such busy lives nowadays that we need to make the most of our time together. 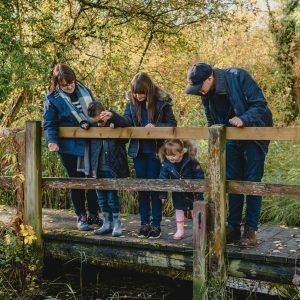 As a family, we often use our annual leave to cover the school holidays so it is rare that we have a week off together as a whole family. 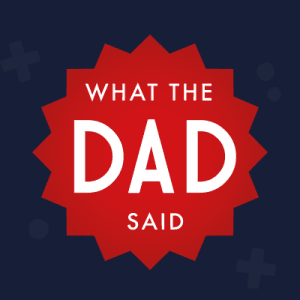 We get around this by making the most of our weekends and odd days we are together by having days out with the children. Thomas Land™ at Drayton Manor is home to Thomas and his friends – the really useful engines. 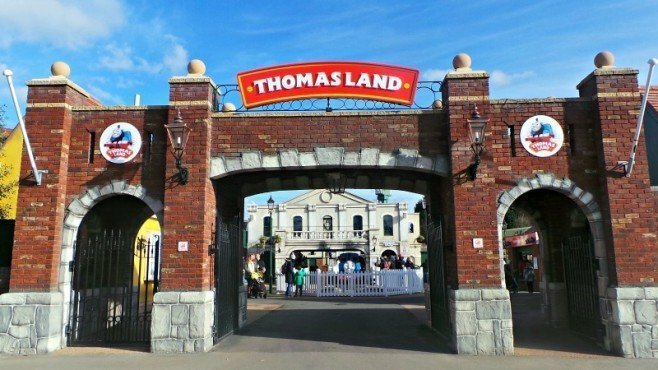 Over the years, there have been many developments within Thomas Land™ from new rides, facilities and not to mention the 2.5 million pound expansion which saw a 40% increase in the size available for families to enjoy. This year they have improved the signage around the park including ride signs and height requirement notices. Within Thomas Land™, there are 18 different rides for those young and old to enjoy. With a selection of gentle rides and those a little more thrilling depending on what you prefer there really is something for everyone. Let the little ones burn off some excess energy within Emily’s soft play area. Filled with slides, ball pits and places to climb and explore. For the littler ones, there is a separate section filled with padded shapes so that they can enjoy the fun too. With 15 to 30 sessions available throughout out the day depending on how busy the park is, it’s a great place to sit down, relax and watch the children play. One of the more gentle rides, have a ride upon Winston the Fat Controllers track inspection car as he guides you around Thomas Land™. A lovely way to get an aerial view of the park and spot which ride you’d like to take in next. Hop aboard Lady or one of her carriages and enjoy a ride on the slow-paced carousel. A lovely gentle ride for even the youngest of Thomas Land™ visitors. There is something about the Sodor Classic Cars that makes everyone what to take a ride around the garages and barn. A gentle, slow-paced ride that everyone can enjoy, the little ones can ‘drive’ the classic car around the track whilst mum or dad sit in the back enjoying a couple of minutes rest – don’t forget to pose for the camera on the way out. A family favourite of Roo and Tigger’s – hop aboard Bertie as he takes you up, up in the air in a circular motion before coming back down again. Going both forward and backwards it will give your tummy a bit of a flip. Join Harold the search and rescue helicopter as he slowly rises up above Thomas Land™ to give you a rotating aerial view of the park. A gentle ride which can be enjoyed by the family, the children get to play pilots whilst mum and dad enjoy the view across Drayton Manor. Possibly Roo’s favourite ride with Thomas Land™ – Climb aboard Cranky’s lifting tower, sit still as he rises you up into the air before dropping you up and down. One for little thrill seekers as it’s sure to make your tummy flip. Take a boat ride with a different with Bulstrode – a mini pirate ship style ride that will have you rocking side to side whilst spinning around at the same time. One for the confident mini rider without being too stomach churning. Located within the Thomas Land™ expansion area this is one of the gentle rides as you ride in one of the narrow gauge engines up and down the bumpy tracks of the Blue Mountain Quarry. One of the latest additions to Thomas Land™ within the new expansion, Toby’s Tram Express is one of the mini thrill seekers rides. Climb aboard Toby as he lifts you up and spins in the air – One of Tigger’s favourite rides which considering he isn’t usual a thrill seeker is lovely to watch. One of the Thomas Land™ expansion water rides – choose whether you drive Flynn to the rescue or climb into his ladder tower to squirt the water to put out the fire – lots of fun but can be a wet one. Another of the Thomas Land™ expansion water rides – climb aboard Captain as you take a rip on the high seas squirting water at your fellow riders, be warned those the spectators can also join in on the action – one to cool you off on a warm, sunny day. 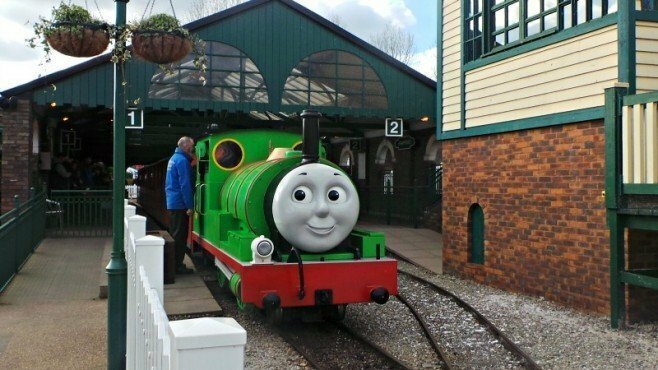 Now it wouldn’t be a trip to Thomas Land™ without a train ride so catch either Thomas, Rosie or Percy from Knapford Station across to Farmer McColl’s farm to take a walk around the animals, and explore the rest of the Thomas Land™ rides. Little ones can experience their first taste of a rollercoaster whilst sitting onboard the Troublesome Trucks. Take two trips around the track for a fun mini thrill seekers adventure. Don’t forget to smile for the camera! Taking centre stage in the Thomas Land™ expansion is the newly relocation Jeremy Jet’s. Go up, up and away with Jeremy as you can soar into the sky or ride down low depending on your preference. A gentle ride but one for those with a head for heights. 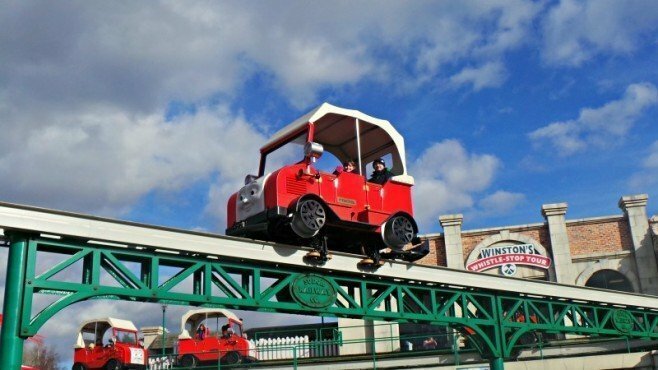 Take a sit inside one of Sodor’s diesel engines and hold on tight as you’re spun around in a figure of eight whilst the engine spins along too – a mini thrill seekers ride but great fun. Burn off that excess energy with some time spent over with Spencer. A mixture of play equipment for young and older ones that will keep them entertained whilst mum and dad sit and have five minutes. Who doesn’t want to learn how to drive their very own Terence engine around the track? Be sure to keep your foot down and steer the right way round the track. Within the Thomas Land™ expansion is a new toilet and baby changing facility which is really geared up towards families with large cubicles, a baby change area that can be accessed by both mums and dads as an area for feeding little ones too. There are three cafes based within Thomas Land™, one over at Farmer McColl’s Farm, one next to Knapford Station and the largest one in the new expansion. 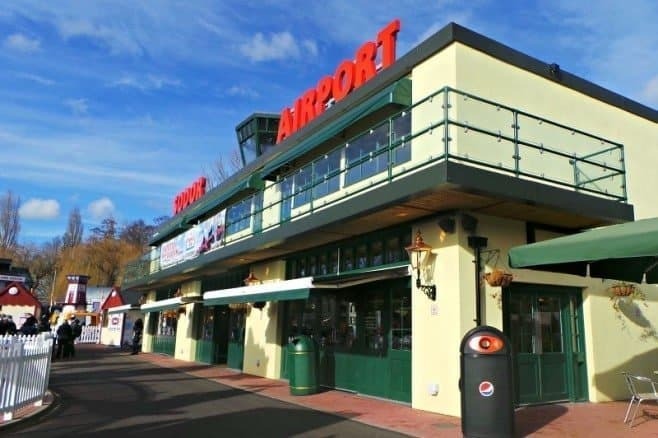 Sodor Airport provides that traditional feel inside and serves a selection of sandwiches, pastries and snacks alongside great value children’s meals. Each cafe also has microwaves available for the warming of baby’s bottles and food which is a great help for those with younger families. Above the Sodor Airport, there are the Thomas VIP rooms which can be hired for birthday parties and conferences (who wouldn’t love to attend a conference at Thomas Land™?). Dotted around Thomas Land™are fun fair stalls like hook a duck and throw a ball into a tub to win a stuffed Thomas toy or one of his friends. 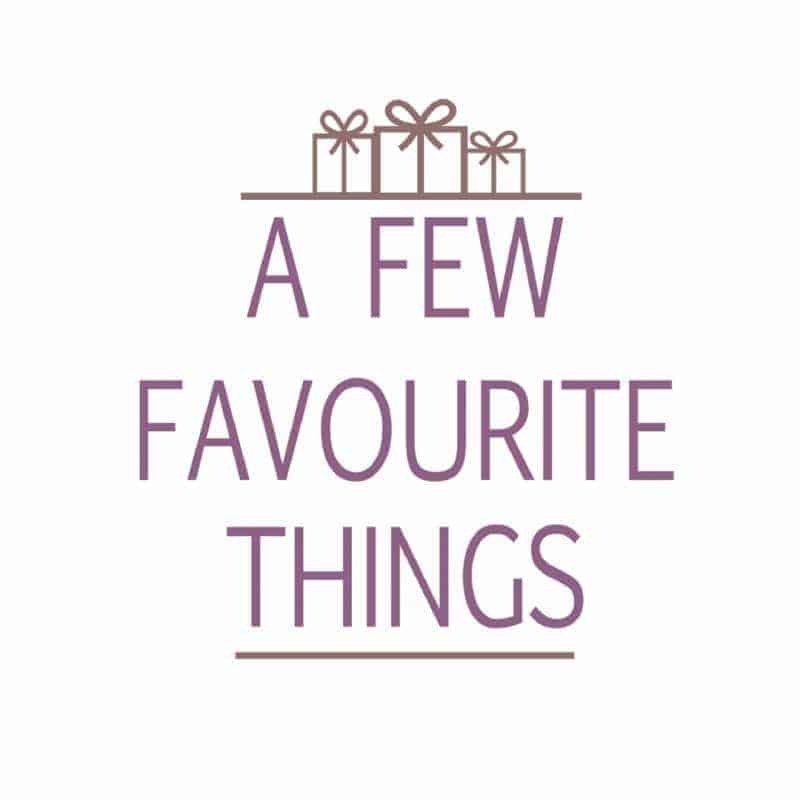 Great for a spot of fun with no pressure to take part in or spend extra money. Also throughout the day there are regular shows from the Fat Controller and his friends above Knapford Station. With meet and greet sessions available by the main Thomas Land™ entrance throughout the day – who doesn’t want their photo taken with the Fat Controller? One of the great things about Thomas Land™ and Drayton Manor for that matter is that is that it hasn’t been commercialised. 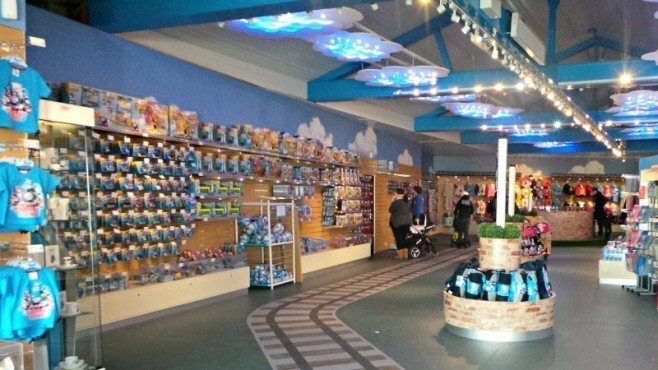 There are two gift shops within Thomas Land™that sell both themed gifts such as t-shirts, accessories and cute snow globes as well as Thomas & Friends toys and DVDs. Neither of these shops have the hard sell feeling that you can get when you can visit similar attractions. As you can see Thomas Land™thing for all the family, whether you have adventurous children or ones who prefer a more gentle ride. There is of course so much more to Drayton Manor that just Thomas Land™, you have the Drayton Manor Zoo which has an array of different animals to watch and admire, there are the Drayton Manor rides, a 4D cinema and a large selection of food outlets to keep you going throughout the day. Wow, I had no idea that there was so much to do there! I thought that mine might be getting a little old for it, but there is actually quite a lot there that would keep them interested, especially as my oldest is a little timid when it comes to rides anyway and there seem to be plenty that would suit him. We’ve been to Drayton Manor a couple of times and always had a great day out. There’s so much to do there! 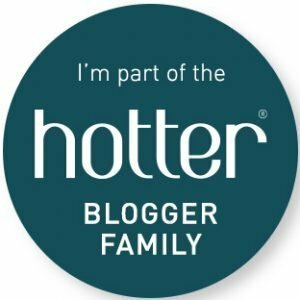 This is a really thorough review – looks like you had lots of fun there! We went on Saturday for the first time. It is so nice looking at other peoples posts and seeing how much they still love it after multiple visits. It definitely seems like somewhere that doesn’t lose appeal. It is so much bigger than I imagined too! Finally, I found a reason to travel England again. Thank you for the post. We went on the weekend for the first time, it was fantastic! Loved your post. I have been meaning to take the boys to Thomasland for ages. T is a big fan and we don’t live far away but have just never got round to it. One for Easter maybe. Great post, looks like you all had a great time! Leo absolutely adores it here. I wish it wasnt so far away from us – I know Syd would love it there! There is so much to see and do, I wouldn’t know where to start but we love Toby, I’m so glad he has his own ride. My children really enjoyed our visits to Thomas Land when they were little. Such a great guide, there are still some rides that we managed to miss. We are definitely going back again, my daughter still can’t stop talking about how much she loves the place. My son would have loved Thomas Land when he was younger, it looks like it is so much fun for any fan of the little tank engine! Great review!! I want to visit.